It has been quite sometimes that I did not update this b;og. My last post was during the Eid ul Fitr 2016. Eid ul Fitr is an annual celebration for Muslim after a month long of fasting during Ramadhan. It is a religious obligation and compulsory for all Muslims who had reached puberty. However even is he/she does not reach they can sill fast as a training before they reach the compulsory stage. Afted a month long of fasting from dawn to dusk, its a sin to fast on the 1st of Syawal following the month of Ramadhan. It has been a practice that during Ramadhan certain spots all over the Malaysia. 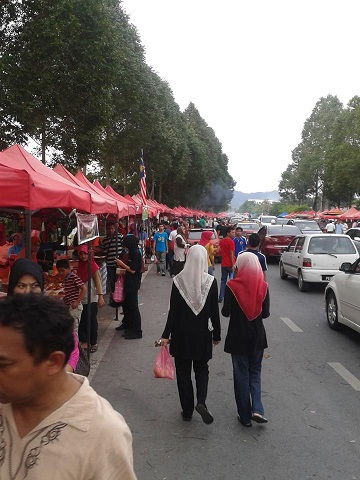 roadside food stalls are set up to sell all kinds of delicacies, drinks and food stuff. Local food and certain foreign delicacies can be found including some local cakes that were hard to find during other months. Ramadhan can be considered a month of feasting where food is of abundance, its easy to find expceially after 3.00pm till before dusk. 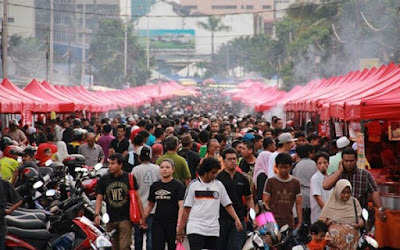 Sample of a Pasar Ramadhan. Googled photo from https://undomiel84.wordpress.com blog. 6th July 2016 / 1 Syawal 1437 is the Eid ur Fitr for all the states in Malaysia. It is quite a wet day when rain falls on the night of the last day of Ramadhan at least for my area in Jitra.. Rain falls again at about 9.00 am when most Muslims congregate at mosques to perform the Eid ur Fitr prayer. I'd like to wish all Muslims all over the world a Happy Eid Ur Fitr and its time to close ranks and unit at a time when Zionist Jews are pressuring and murdering innocent Palestinians and Islamophobia is on the rise especially in Europe and North America. Regret not fellow Muslims because what is happening to Muslims today had been told by Prophet Mumhammad S.A.W reminding us that this will happen when the world is at her final age before doomsday. What we are still unknown to us is when will Imam Mahdi be born. 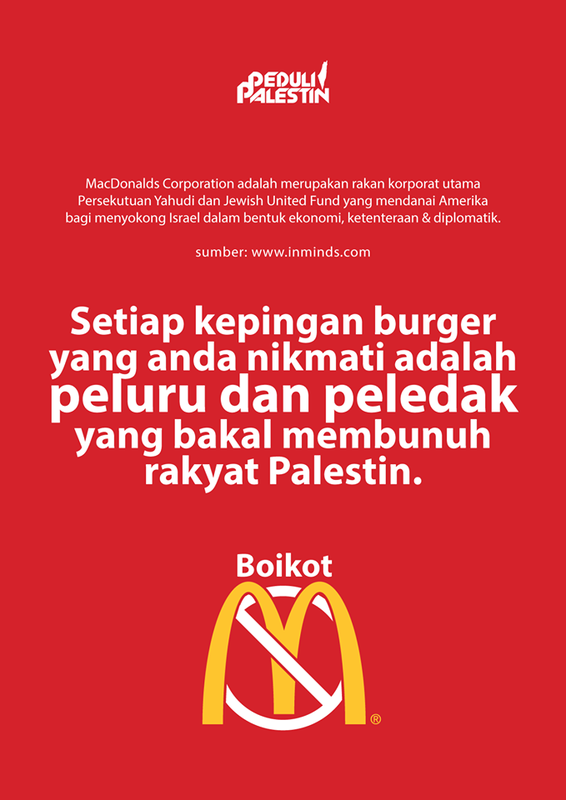 Then Dajjal will rise and Isa Al Maseh will come back to save the world. These three characters will come at the same era and after which Israfil will blow the Sangkakala (trumpet or horn) and doomsday starts. I was looking for my post about Starbucks that had set out billions of dollars to support the illegal state of Isreal at this moment when the boycott Isreali products is heating up due to the Genocide in Gaza by the terrorist Isreal and Netayanhu. However it seems the post was not listed by the search. 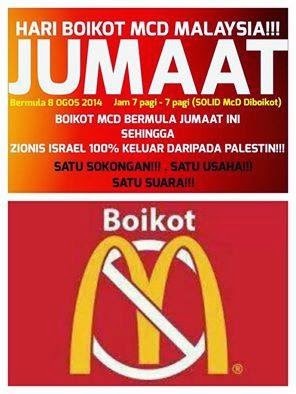 I just wanted to share what I had posted to help water the growing boycott campaign in the midst of terrorist Zionist murdering children, women and citizen of Gaza whose land was robbed by the illegal state of Isreal with the consent of USA and Britian. Hence, this post is another test whether this blog that was born on May 4th 2006 was grounded by Google after accusing me of spreading virus on one of the links, had been released. If you can read this blog please respond with a comment. After sometime I did not update this blog, I am not sure whether Google had released this blog. So this post is just a test. These are blogs as proof of the slogan. zaharibb2011. Simple theme. Powered by Blogger.